My name is Larrissa Scanagatta. 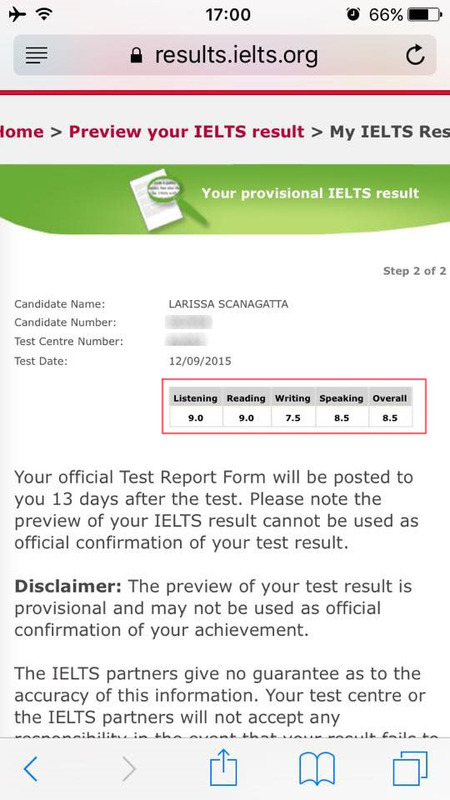 My experience in the IELTS preparation course at Browns was absolutely wonderful, I ascertained the skills I needed theoretically and most importantly how to tackle them practically and efficiently. I was amazed by the broad spectrum of knowledge my teacher has and the informative tips he provided. His systematic and inductive lessons were extremely helpful. In retrospect, I only got 23 out of 40 reading questions correct in the first week, however in the second week, after listening to my teacher’s lesson, I got 37 out of 40 reading questions correct. I followed his methods and ways to manage time, scan, skim and allocate key information effectively. 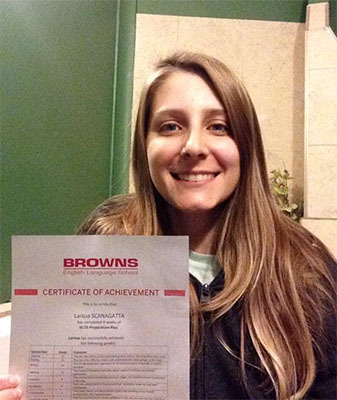 All in all, I am very grateful to study at Browns English Language School and received all the help from my teacher. I have no doubt that he makes my IELTS learning journey pleasant and rewarding. I am so so impressed that I got 9 in reading, 9 in listening, 8.5 in speaking and 7.5 in writing, overall 8.5. I only needed 6.5 for my university enrollment.